May is the month of publicholidays in France, with seemingly more days off than at work, which I think leads us nicely into summer and long summer holidays. Now June has arrived I can feel a real change in the season as the signs of summer begin to appear all around me. 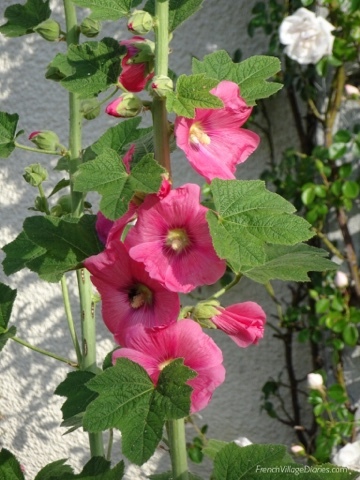 The first of our hollyhocks have opened this week marking the start of a riot of tall, show-offy blooms that will cheer our garden all the way through to autumn. By encouraging them to scatter their seeds, they pop up wherever they feel in our courtyard lawn in whatever colour they choose and I just love them. The cherries are ripe, and so begins our first orchard harvest of summer. 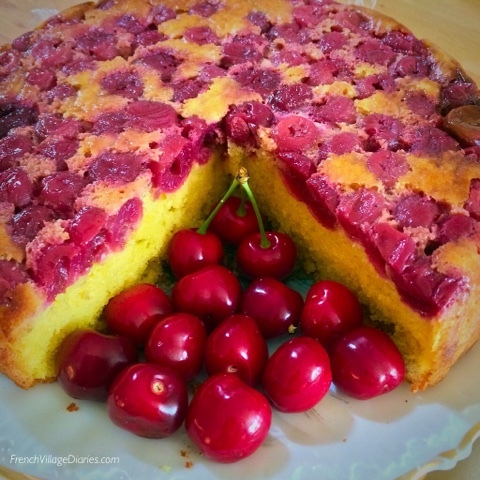 My days this week have been spent picking, washing, oven drying and freezing, baking and not forgetting eating cherries. My fingers and most of the kitchen are sticky and stained with cherry juice, but my winter breakfasts will be adorned with the dark red jewels of dried cherries; the fruits of my labour and the taste of early summer enjoyed all year. The hard work in spring; weeding, rotivating and digging in the potager (vegetable garden) has been worth it and our summer produce is now finally planted out; six aubergines, six peppers, forty-seven assorted tomatoes and fifty-seven squash (pumpkin, melon, patisson, butternut, winter squash and my favourite, courgette) have joined the twenty beans that have looked rather lonely these last few weeks. I know we are late to planting out (as usual) but better late than never. I’m already looking forward to the harvesting that will follow soon; let our summer evening routine of watering now begin. 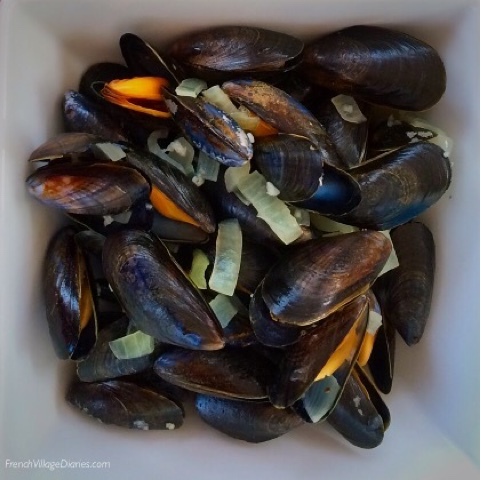 The moules (mussels) lady returned to our village market this week selling the first of this year’s moules. They will now be our weekly treat until October, served with homemade chips and walnut bread, eaten on the terrace with a glass of chilled white wine; a true taste of summer in France. The elderflowers in the hedgerows are out and smell fantastic. There is nothing quite like a warm evening bike ride accompanied by their sweet perfume to put a smile on my face. 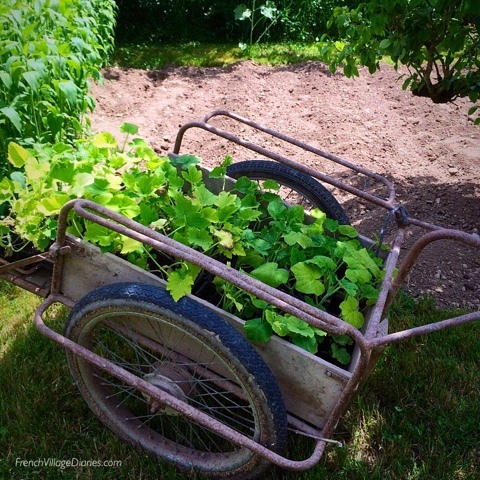 Although I have to admit it has been tricky to squeeze cycling into our busy days spent gardening, harvesting and cherry processing, but I can’t forget I have a challenge to prepare for. Cycling over 400km in six consecutive days, where some days will be over 70km in distance and others will be on quite hilly terrain can’t be pushed too far to the back of my mind, September will be here all too soon. 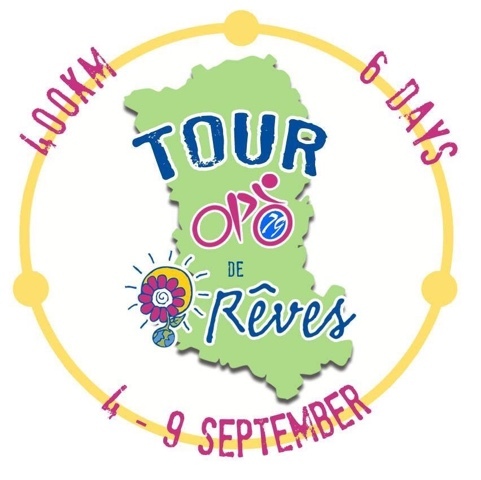 If you would like to read more about our Tour de Rêves charity bike ride just click here, thank you. Probably the scariest sign of summer is that Ed will finish school next week. There will still be revision sessions and exams to keep him busy for a few weeks, but I can’t quite believe how quickly this school year has zoomed by. I'd love to know what things always remind you of summer and I hope that you have fond memories of summers spent in France, wherever in the world you live. 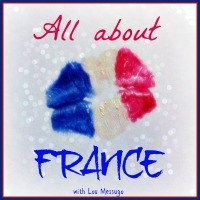 This post has been linked to Lou Messugo’s All About France link up. Click here for more posts All About France. Here are some summer reading suggestions, set in France, just for you.